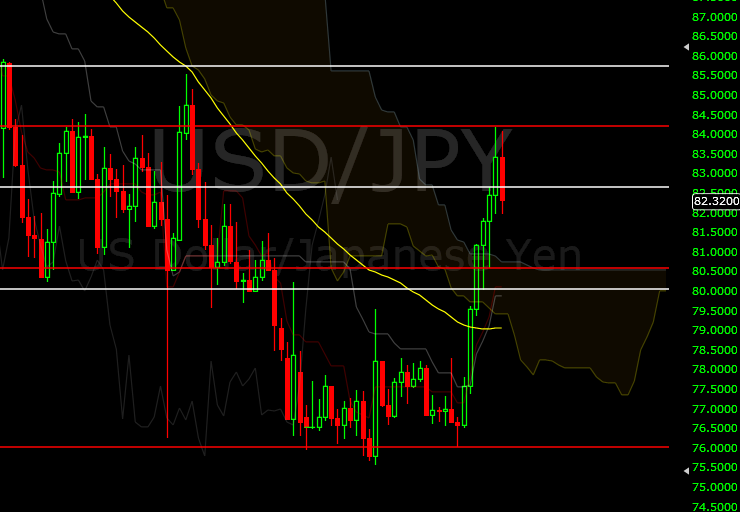 Seems like USD/JPY is forming a pullback from the past week of bull run. Looking for the red lines as support/resistance and targets. 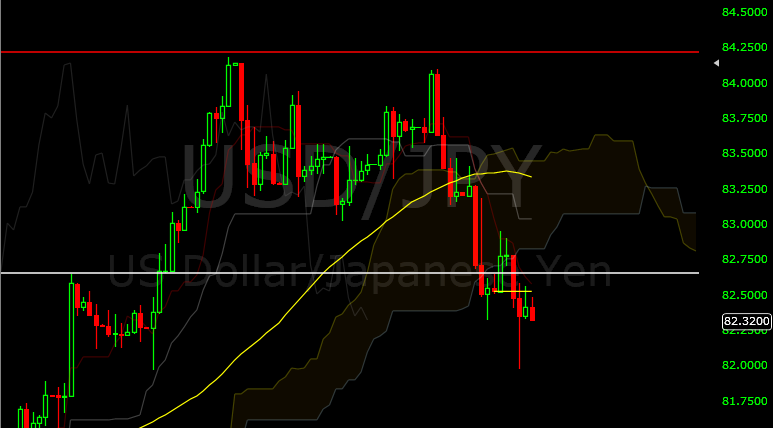 I’m currently SHORT on USD/JPY and is already 14% up in green. Red lines are strong resistances/support. Could take a couple of more days before we hit our target 80.600. Strong support at 82.000. Resistance 82.65 if pulls back. I’m currently on the sidelines for the other pairs. My watchlist includes, AUD/CAD, EUR/USD, EUR/CHF. Though, they made a clear price action before, the chart, for me, is not very favorable now and I would prefer to wait until a more clear price action appears. 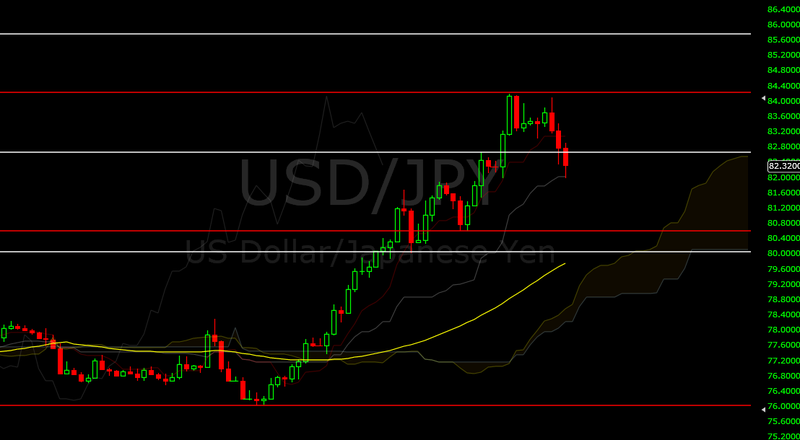 In the meantime, I’ll focus my forex trading on USD/JPY.